This pesto can be traced to Simmzy’s in Long Beach on 2nd Street. It was there, along with a delicious craft beer, that I had cilantro pesto over roasted cauliflower. I wondered – could this zingy herb also transform spaghetti squash? I’ll cut to the answer: yes. The pesto was so bright and full of flavor that it transformed the white, generally bland vegetable. 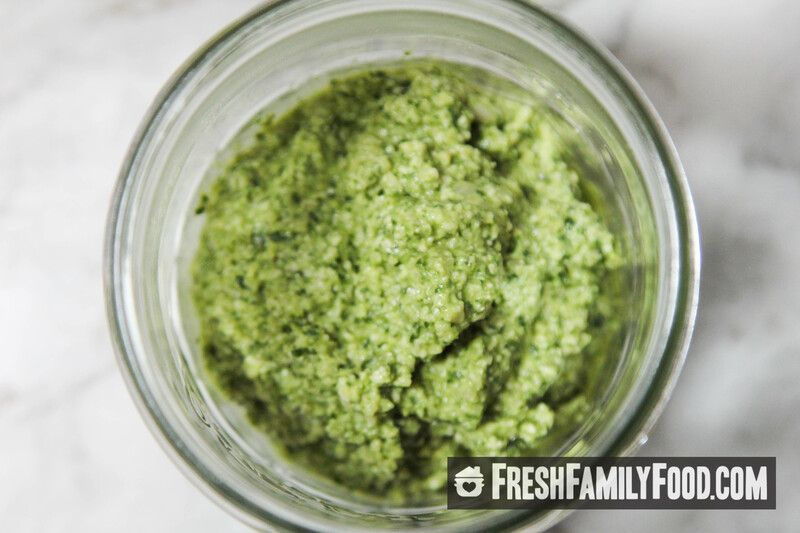 Now that pesto used almonds as the nut part (the traditional way basil pestos are made in Italy). Here, I used pepitas (the seed part of pumpkin seeds) and cotija cheese. 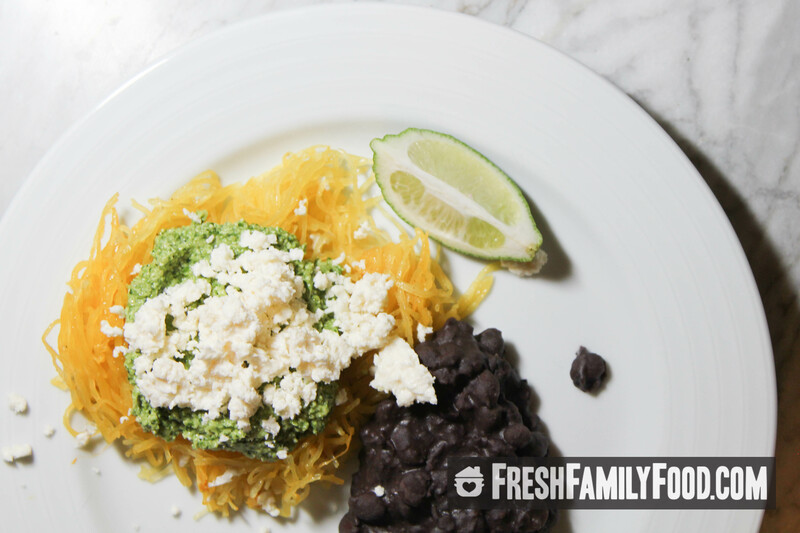 I served up my pesto over roasted spaghetti squash with black beans (cooked with cumin, brown sugar, salt and pepper and then mashed). Preheat the oven to 450°. 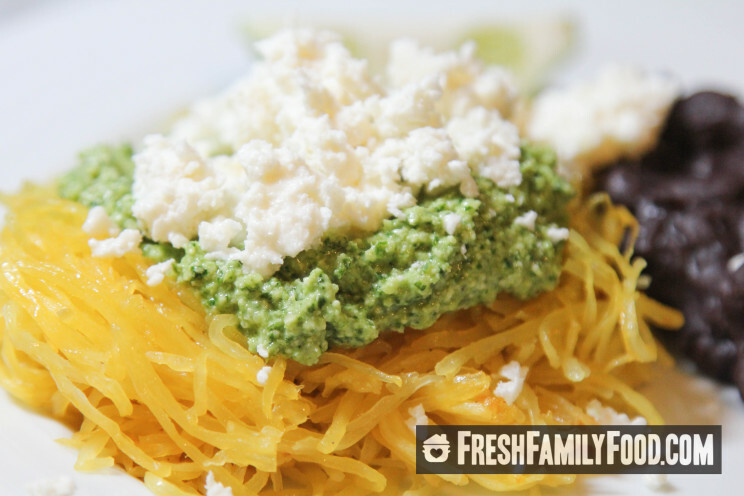 Carefully cut the spaghetti squash in half, lengthwise. Drizzle the squash inside with 1 tbsp of olive oil and sprinkle with salt and pepper. Place face down on a cooking sheet. Bake until tender, about 1 hour. Spaghetti-ize the squash with a fork. 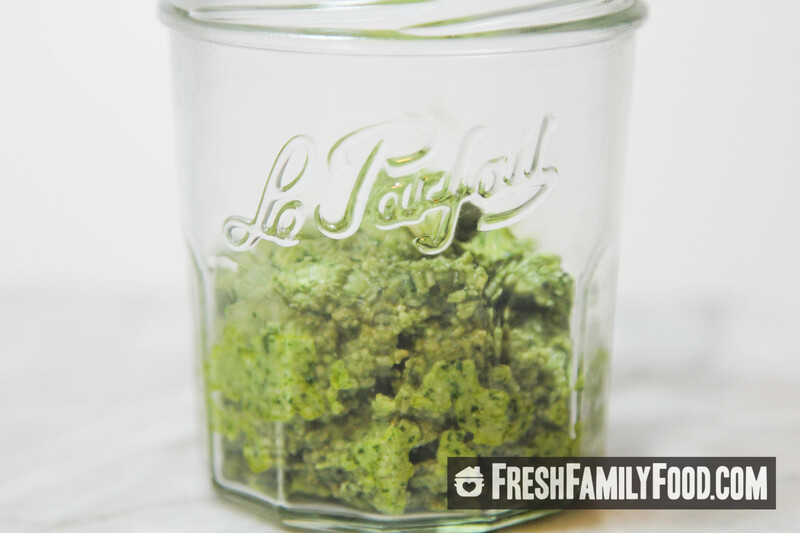 Serve the pesto on top or mix it in (adding more olive oil, as necessary, to mix it all together). Serve on its own, or with black beans (as pictured) or with something else of your choosing (I also added some lime-cilantro grilled Gardein veggie chicken for my son).